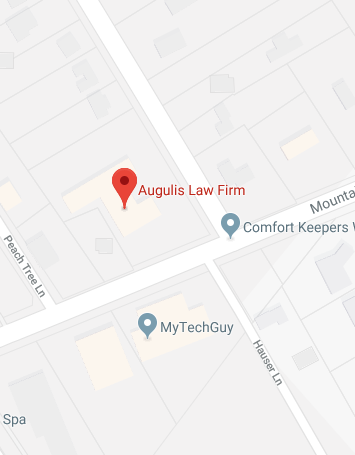 Here at the Augulis Law Firm, we take a community minded approach to estate planning. We have been helping people here in Edison, NJ for a long time, and we understand the needs of our local friends and neighbors. If you live in Edison, you know that it is a fantastic place to call home. You have access to bigger cities like New York and Philadelphia, the beaches are accessible, and the city itself has a great deal to offer in its own right. In fact, the quality of life in Edison has been recognized on the national level. Our town made the list of the most livable small cities in the United States that was published in CNN Money Magazine. Back in 2009, the U.S. News & World Report placed Edison among America’s top 10 cities to grow up in. Without question, Edison is a great place to raise your family, and we help people in our area protect their loved ones through the implementation of effective estate planning strategies. The facilitation of asset transfers is at the core of the estate planning process. You may assume that you should use a will instead of a trust if you are not a multimillionaire, and a will could suffice under very simple circumstances. However, when you understand all the facts, you may find that a revocable living trust is a better choice. One benefit that you gain if you use a living trust is the ability to include spendthrift protections. There would be a certain level of asset protection after you pass away, and you could allow for limited distributions over an extended period of time. On the other hand, if you use a will, the inheritors would receive lump sum, unprotected bequests. A living trust can be a good choice for many people, but there are other situations that can be addressed through the utilization of different types of trusts. For example, if you are exposed to estate taxes, there are wealth preservation trusts that can be used to reduce your estate tax liability. If you have a loved one with a disability in your family who is relying on need-based government benefits, you could establish a supplemental needs trust. Assets in the trust could be used to make your family member more comfortable, but benefit eligibility would not be impacted. A qualified terminable interest property trust could be used to protect the interests of your children if you are getting remarried as a parent with children from a previous marriage or marriages. These are a handful of scenarios that can be effectively responded to through the utilization of a trust of some kind, but there are others. Estate planning lawyers are usually going to extend their services to the elder law arena. As the name would suggest, elder law attorneys are focused on matters that are of specific interest to senior citizens. The most pressing elder law issue at the present time is the matter of long-term care. Most elders will need some form of living assistance eventually, and one fourth of people who are 85 years of age and older are residing in nursing homes right now. Here in the Edison area, nursing homes are particularly expensive. It could cost hundreds of thousands of dollars to spend two or three years receiving nursing home care. Many people never think about nursing home costs, because they know that they will qualify for Medicare when they attain senior citizen status. Unfortunately, the Medicare program does not pay for long-term care, so you have to prepare for these expenses on your own. Medicaid is a government health insurance program that is in place to provide coverage for people with very limited financial resources. This program will pay for long-term care. If you want to prepare yourself for future Medicaid eligibility, you could convey assets into an irrevocable Medicaid trust. The assets would not count if you were to apply for Medicaid, but you could continue to receive income from the earnings of the trust while you are living independently. You do have to act in advance, because you are penalized and your eligibility is delayed if you divest yourself of assets within five years of applying for Medicaid coverage. Feel free to send us a message through our contact page or call us at (908) 222-8803 if you would like to schedule a no obligation consultation.